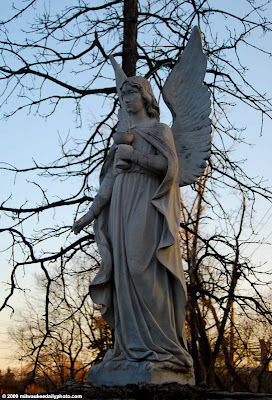 This angel is in the Marian Shrine on 68th Street. A small park with many religious sculptures, it's a place for Catholics to mediate and pray the rosary. I've driven past it a number of times, but tonight was my first actual visit to the shrine.